This past Saturday I finally made time for a long overdue henna day. On Friday night, I decided to take a leap of faith and do a pre-shampoo deep conditioner treatment with the Aubrey Organics GPB (Glycogen Protein Balancing) Conditioner mixed with Vatika Oil. Though it’s a protein conditioner and I was doing a henna treatment, I suspected that I could violate the cardinal rule to not use protein and henna at the same time for two reasons. I only henna my roots, so I could concentrate the protein conditioner on my length and go lighter on the roots that would get henna. 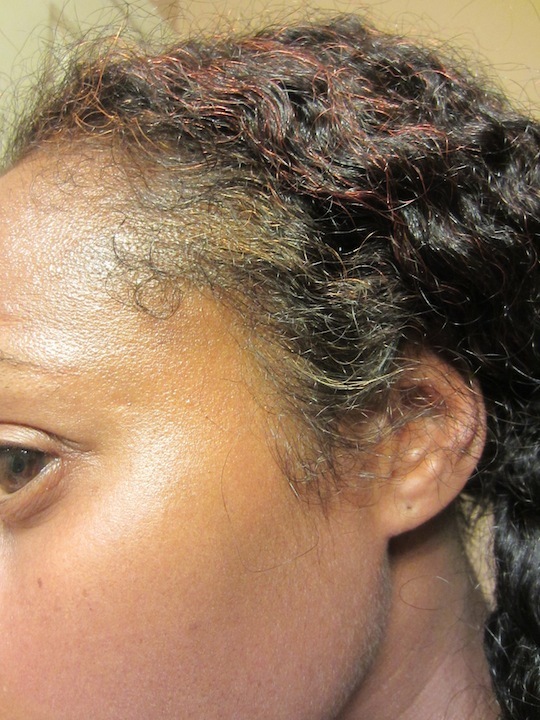 I was doing the protein treatment prior to shampooing, so I would still be following the henna treatment and protein with a moisturizing deep conditioner. I slept in the treatment overnight and, on Saturday at around 1 pm, I set out all of my henna and indigo supplies and hopped in the shower. I rinsed the AO GPB/Vatika Oil combo and my hair felt strong, sleek and smooth! SCORE!! It wasn’t hard or brittle at all, it just felt good! 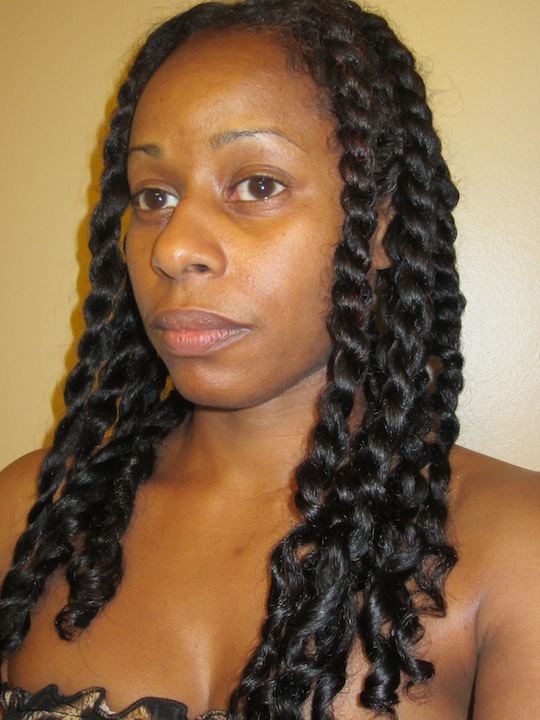 After rinsing the deep treatment, I placed my hair into 6 loose twists and shampooed with diluted DevaCare No Poo (again, diluting the shampoo with water makes it go on so much easier, more thoroughly and aids in detangling). I rinsed that and then applied Herbal Essence Hello Hydration to thoroughly finger detangle before rinsing and hopping out of the shower. Again, detangling was a total breeze. I can’t tell you how awesome that feels as my hair had started to become a struggle to detangle and I thought that it was due to the added length and wear and tear. What a difference Aubrey Organics makes!!! I am in love (I even begged Wei to let me put it in his hair on Sunday for a pre-poo DC before he hit the shower so that he could see what I was talking about!!! I was just so excited about it. I don’t think he was too impressed though ;). Of course, he didn’t condition after he shampooed either. Men. *lol*). Now on to the henna/hendigo treatment. I reeeeeeeaaally didn’t feel like doing a two step treatment,which at the minimum adds another 1 1/2 hours to the process, so I decided to give hendigo another whirl. I applied straight henna (mixed with honey and Sally’s GVP Matrix Biolage Conditioning Balm) to the center top roots of my hair. Then I applied what I think was about 2/3 indigo mixed with 1/3 henna to do the sides and back of my hair (again, roots only) in hopes that it would make them a dark brown. Finally, I applied Sally’s GVP MBCB to the untreated length of my hair and sat under my heat cap for a full 4 hours. #FAIL … AGAIN. Ugh. So, it looks like I have no option if I want dark brown/black hair in some areas. I can’t take the shortcut. I have to do the two-step henna/indigo process *sigh*. Anywho, though the hendigo was a bust, the length of my hair that had conditioner on it was so smooth and sleek!! The parts with henna had the typical, post henna, dry, hay-like feel. As it seemed the Sally’s GVP MBCB worked wonders on my length, I decided to pull out the jar of the real deal that I picked up many months ago on sale at Ulta!! Although it isn’t formulated as a deep conditioner, it seemed to work great! So, I applied it heavily to my henna treated hair and very lightly to the length. Then, I sat under the heat cap again. Want shiny, healthy-looking hair in a hurry? Fast-acting cream rinse infuses vital nutrients and rinses clean to help hair dry quickly for easy styling. Detangles on contact and controls flyaways to leave lengths silky and full and curls softly defined. I diluted it with filtered water in a dye applicator bottle and applied it directly over the DC, then rinsed with cold water. Again, smooth, sleek, silky hair!! 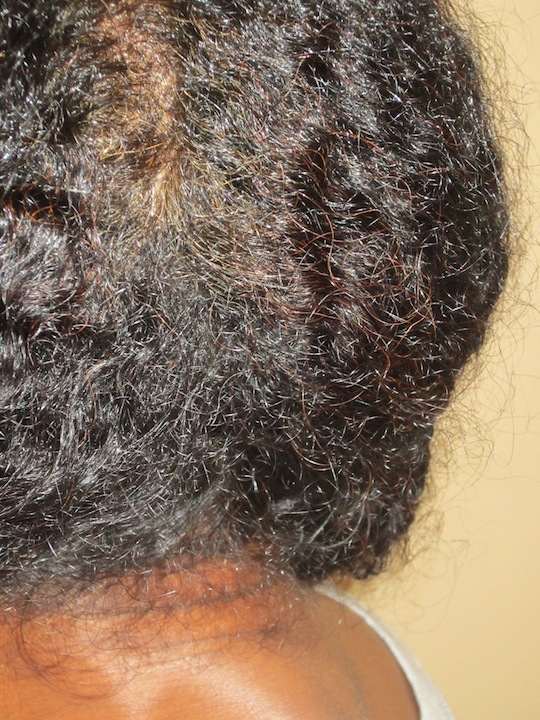 Finally, I hopped out of the shower one last time and proceeded to gently and easily finger detangle and set my hair in 13 plump twists … yes, you read that right. 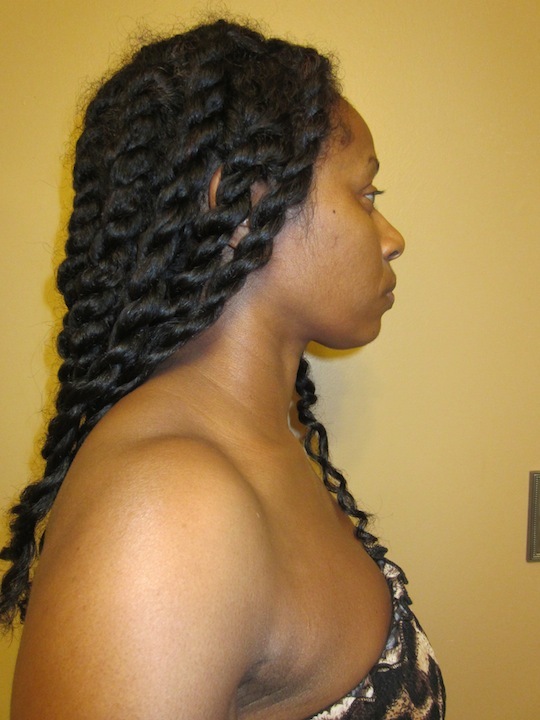 THIRTEEN PLUMP twists! When does that happen on my fine hair?? I used AO Honeysuckle Rose Conditioner as my leave-in and sealed the ends with a JBCO/EVOO mix. Wei and I then went out to dinner and those jokers had the nerve to be dry by the time we got home a couple of hours later. AGAIN, another “never” event for my hair!! The hits just kept coming!! 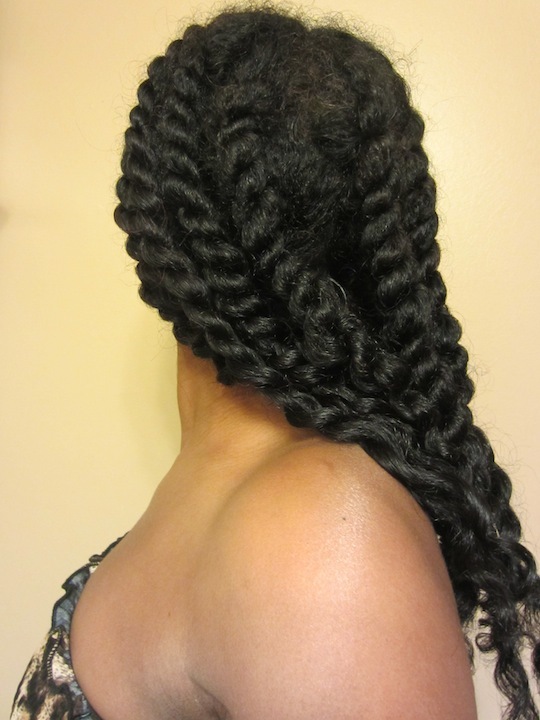 Since my twists were dry, I decided to release them and found a very defined, but soft and silky twist-out! Could have used some more fluffing, but it worked. 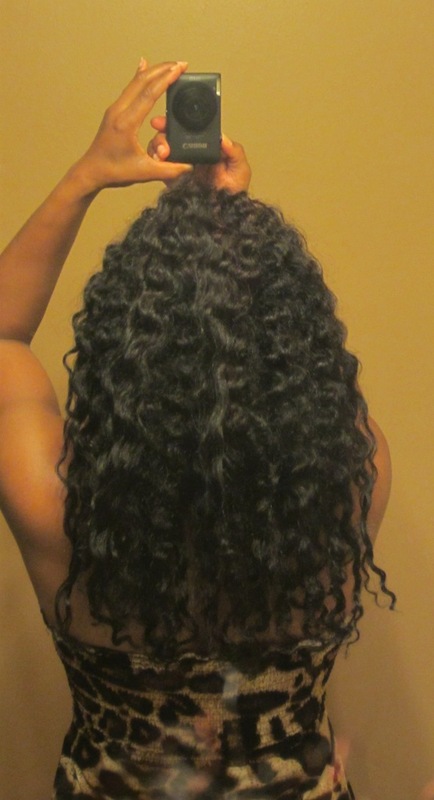 I can’t wait until I fully transition out my thinner ends! And that’s it!! Aubrey Organics is a KEEPER!! My PJ ways may be over y’all! I’ll probably still try other things to give reviews, but I really think that the products in this line are going to be my staples/holy grails!! I mean, have you seen Jasmine and Zhara’s hair?!?! The proof is in the pudding!! I ordered one other product that I’ve yet to try, the Green Tea Clarifying Shampoo. I didn’t want to strip my hair too much as I was doing a henna treatment. So, I didn’t use it this wash day. 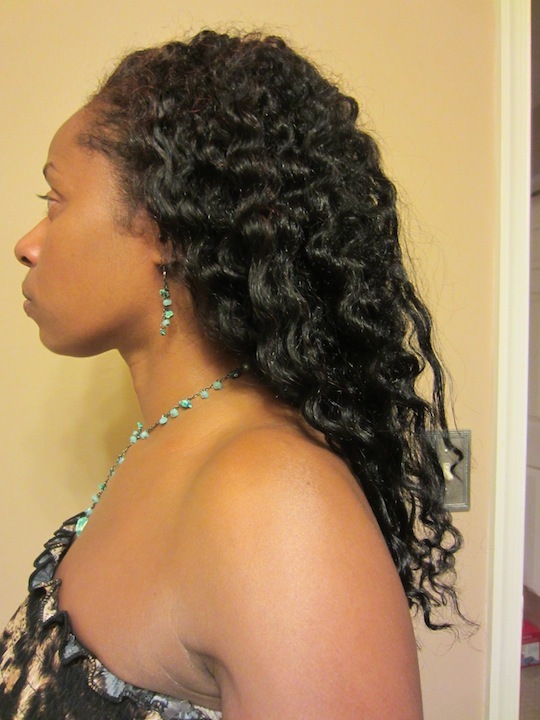 But, I want to try it this upcoming Friday in order to get nicely clean hair for my first Curlformers attempt!! We’ll see!! I don’t know if I should be experimenting with a Meet-Up on the line! LOL!! Oh, and lastly, I put my dryer together on Sunday! It was very easy to assemble. Test drive pending. Don’t get it twisted. I assembled it! He’s just Vanna White;). GOOD MORNING SUNSHINES!! WISHING YOU ALL A WONDERFUL MONDAY! Okay, I am officially an Aubrey Organics Honeysuckle Rose (AOHSR) Conditioner convert!! OH EM GEE!! On Saturday morning, I melted some Vatika oil and mixed it with AOHSR. I globbed the mix on my dry, stretched hair and smooshed it down the length, but didn’t detangle. Once I worked the conditioner through and ensured that my hair was thoroughly coated, I bunned and donned a baggie while I hopped in the shower. Then, I got dressed, removed the baggie and went about my day. 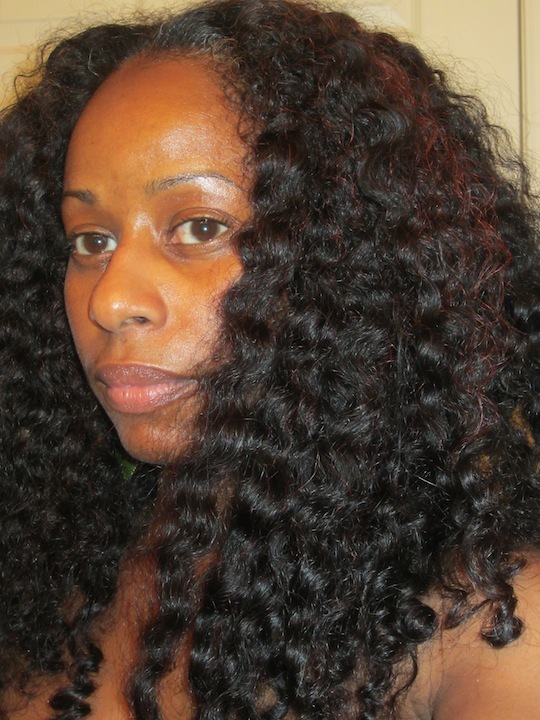 That evening, I placed my hair into 6 twists and hopped in the shower to shampoo with DevaCare No Poo diluted with water (thanks to Bdanni of mightyfinenatural for this tip! It makes my DevaCare even more awesomer!!). 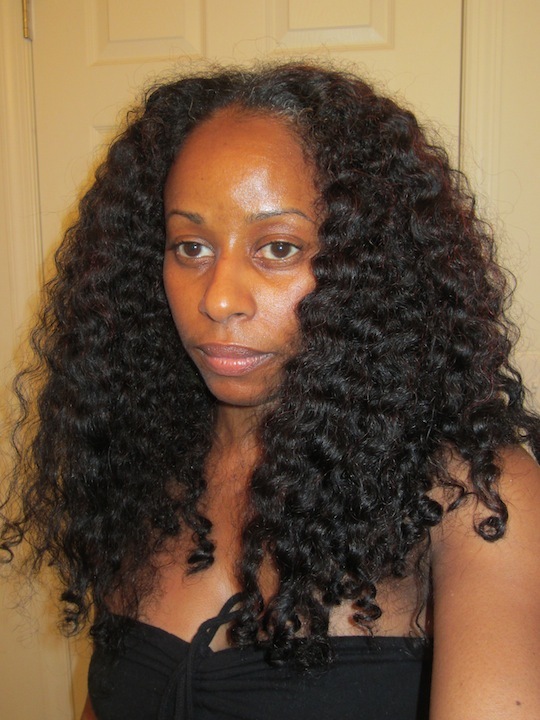 My hair was sooo smooth and soft and felt virtually tangle free through the length. 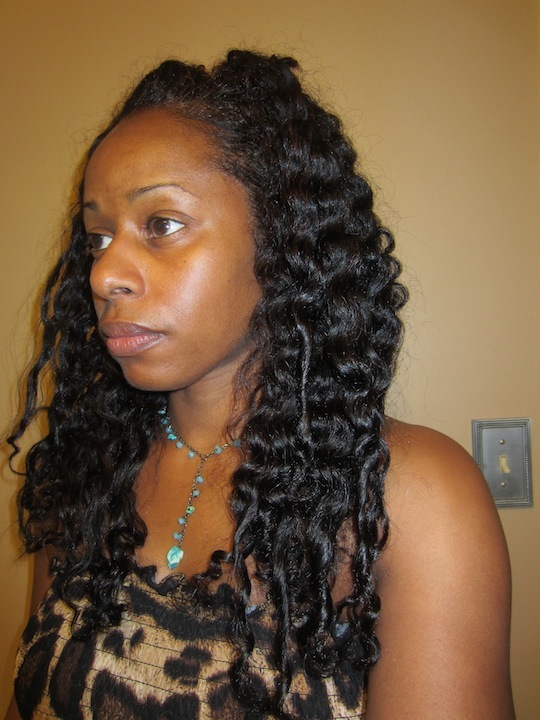 But, after rinsing the Deva Care No Poo, I still applied HE HH to each twist, one by one. Then, I started with the first twist and thoroughly finger detangled. Given that I hadn’t detangled at any stage prior to this, you’d think that this would have been a little tough. Not at all!! My roots were the most tangled, but I was able to get through them very easily. 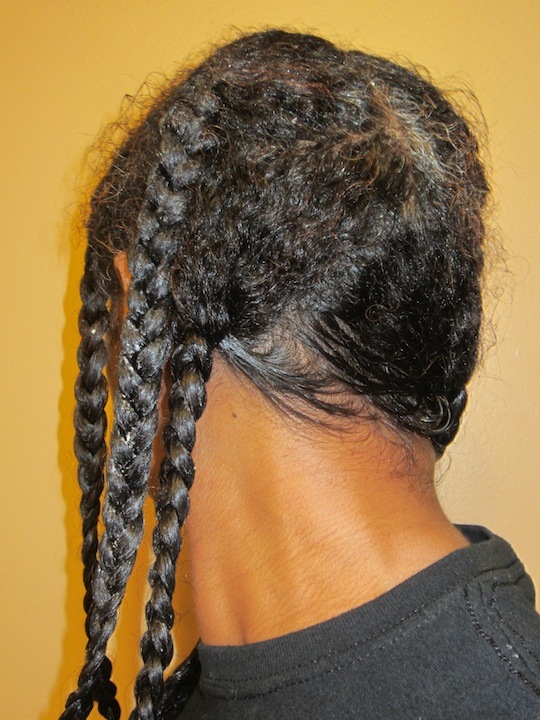 Once I finished detangling and re-twisting each section, I rinsed with cold water. 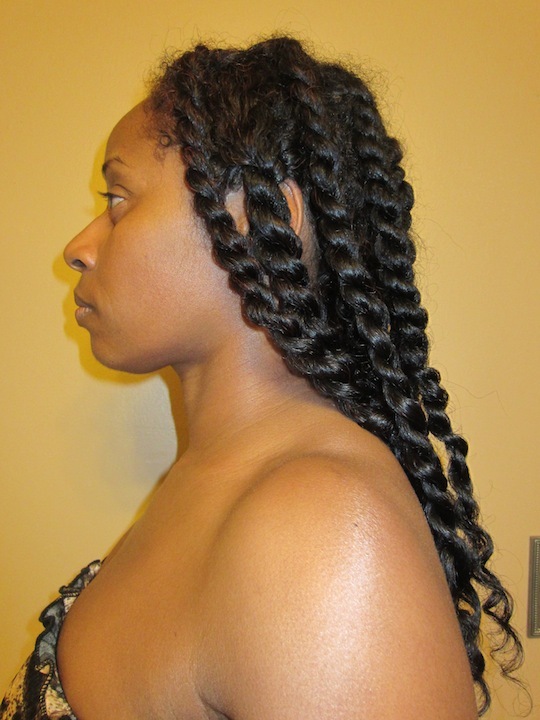 I exited the shower, blotted with a Curl Cloth and then applied my modified kimmaytube leave-in (1 tsp jojoba oil only) to each section and decided to braid my hair for a braid-out! I don’t think I’ve done a wet braid out since I’ve been natural, to tell you the truth! LOL! Oh, and as an afterthought, I applied Wonder Curl Butter than Love (BTL) Pudding down the length of each braid. You see, it hit me, I’d been somewhat doing the L.O.C. 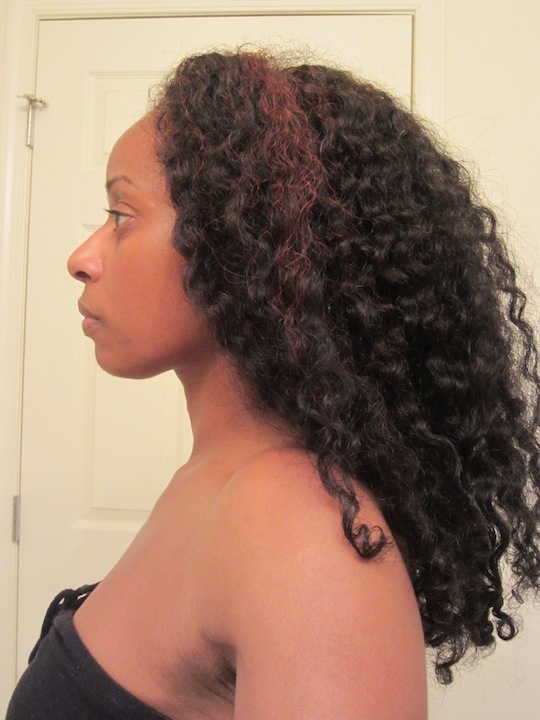 Method on my TnCs when I used the kimmaytube leave-in (the “L” and the “O”) and then BTL (the “C”). So I thought, what the heck? 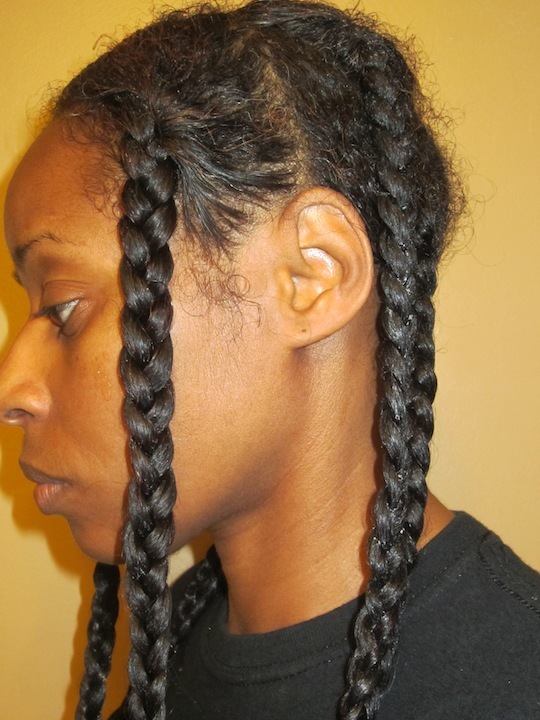 Next time, I’ll apply BTL before braiding. 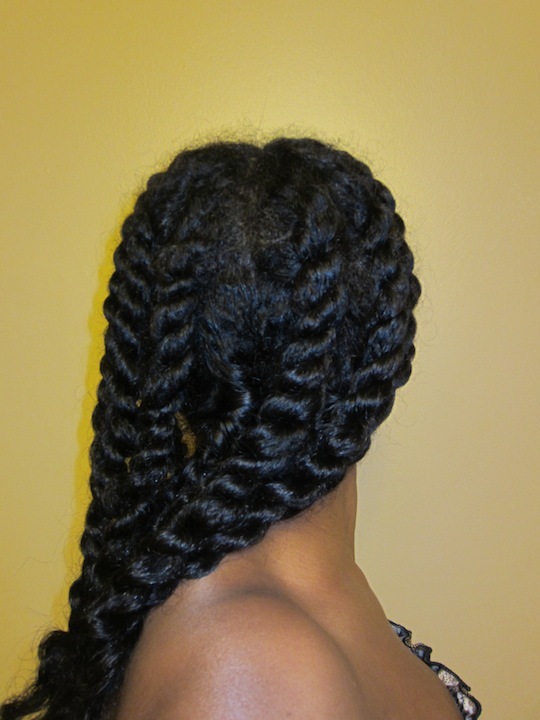 Once I finished braiding, I set the ends of each braid on big doobie pins to seal and curl. Then, I tied a satin scarf around my edges and hit the sack. I didn’t release my hair until around 2 p.m. on Sunday. As usual, my hair was still slightly damp, but actually wasn’t as wet as usual as I didn’t apply as much leave-in as I usually do. 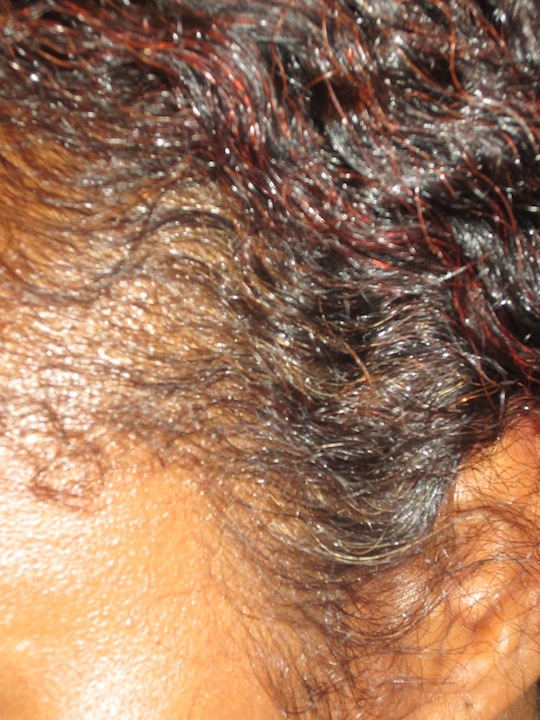 In fact, I was surprised how close to dry it was as my hair was very wet when I applied the leave-in and braided it. Anywho, when I released the braids, my hair was very defined and oh so soft. It lost some of the definition once I fluffed since it wasn’t fully dry. But, as you know though, I don’t mind sacrificing definition for big hair ;). Okay, now back to Aubrey Organics. Ladies, I am so sprung on this conditioner!! Mixing it with Vatika Oil and washing with diluted DevaCare No Poo seems to be a match made in heaven!! And, as I previously indicated, I love pre-pooing and deep conditioning in one fell swoop, with the bonus of being done with one round in the shower!! No going back in or having to use the kitchen sink to rinse!! In fact, I’m so sprung, that I went back to Jasmine’s November GOC update to figure out what shampoo she uses and ordered the Green Tea Clarifying Shampoo, the GPB Conditioner, the Green Tea Finishing Cream Rinse and another bottle of Honeysuckle Rose from the Aubrey website (I should have researched a little better first though, each product is about $2 cheaper on Vitamin Shoppe’s site)!! Anywho, I really want to see how the products from this line work together!! If they are anything like AO HSR, I may really give up my PJ ways y’all and retire a lot of stuff!! Okay, let me not get ahead of myself. But, it’s been a long time since I’ve been this excited about a product!! Keeping my fingers crossed that I’ll be as blown away by the other offerings in the line!! 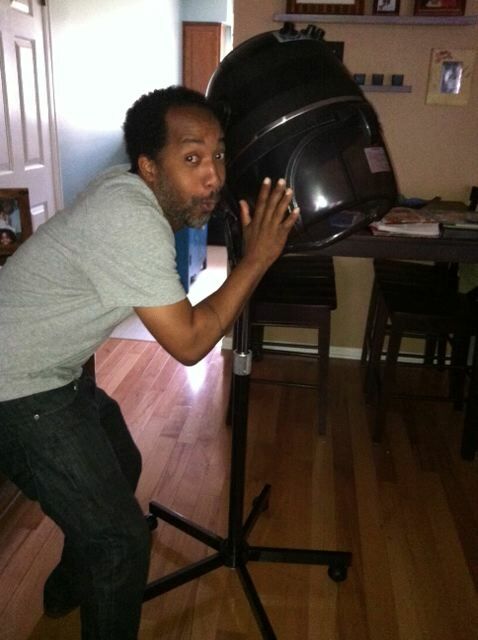 When was the last time that you were blown away by a product? What was it and why did it turn your grey skies blue ;)?